Just like so many other countries, the Japanese military officials were ensnared by the tankette fad, during the thirties. The first model developed was the Jyu-Sokosha (1931), then came the mass-produced Type 94 TK (1933). 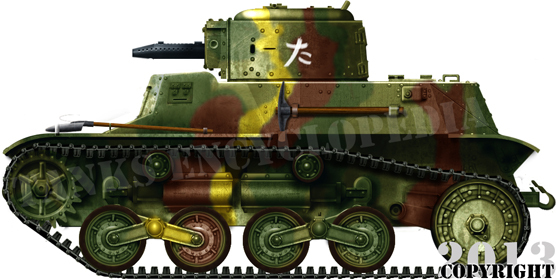 The last evolution of the Japanese tankette was developed by the Hino Motors Company around a 4-cylinder diesel engine, and carried a 37 mm (1.46 in) gun, which was far more potent than the usual machine-gun. This prototype, built in 1936, was the very basis for the new Type 97, or 1938 according to the imperial calendar, after many tests and changes demanded by the Army. The final prototype, delivered in November, and finally accepted, entered full-scale production in 1938. They were designed to give additional fire support to infantry divisions, as well as many other tasks. The 1937 prototype was still largely based on the previous Type 94, and bore many similarities, starting with the drivetrain, although the engine was now located at the rear. Because of this, the fighting compartment was pushed forward, and the turret was now roughly in the middle. This put the driver and commander in close proximity, easing communication. The hull was still riveted, and the interior covered by heat absorbing asbestos sheets. The 37 mm (1.46 in) Type 94 main gun (L/36.7) was supplied with 94 rounds, had an elevation of -15/+20°, a 600 m/s (660 yd/s) muzzle velocity and could penetrate 45 mm (1.77 in) of armor at 300 meters (330 yd). This gun model, also shared with the Type 95 Ha-Go, was always in short supply, and many TKs ended with a Type 97 machine gun instead. Protection was limited to 16 mm of armor (0.63 in) on the front and turret, and was found inadequate against the HE rounds of the mainstream US M2 0.50 cal (12.7 mm) machine guns. 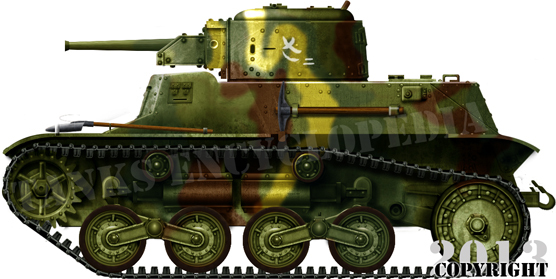 The only known variant was the Type 98 So-Da, an ammo supply vehicle and APC. 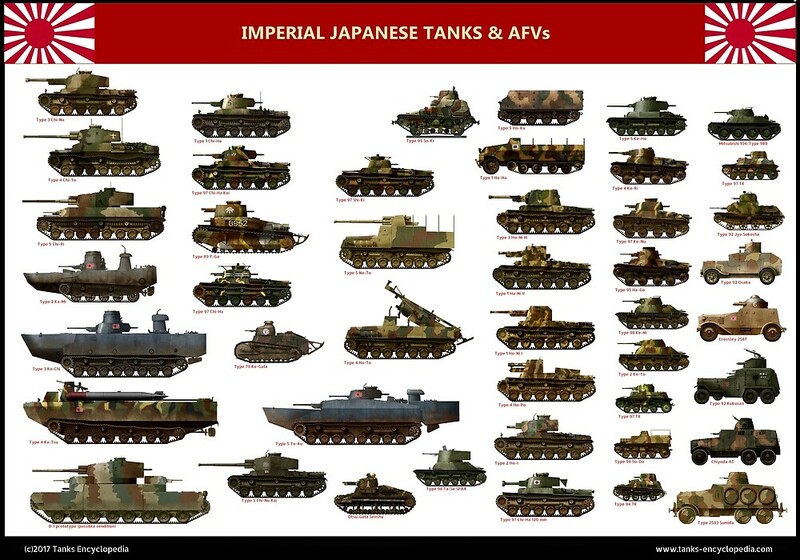 Tactically, 6 tankettes were given to each IJN infantry division. They were primarily intended as scout vehicles, spearheading assaults. They also provided additional firepower where it was needed, and also supplied and/or towed light guns. Each was equipped with a reinforced towing hook. When production ended in 1941-42, a total of 596 or 557, depending on the source, had been produced, without any notable change. Most saw action in China, in various areas, until 1945. They were opposed by the Chinese National Revolutionary Army’s few Italian CV-33 tankettes and French FT tanks, which did not seriously threaten the Type 97. However, on the Russo-Mongolian border they suffered heavy casualties, succumbing to the Russian high velocity 45 mm (1.77 in) gun, shared by the BT-5 and BT-7. 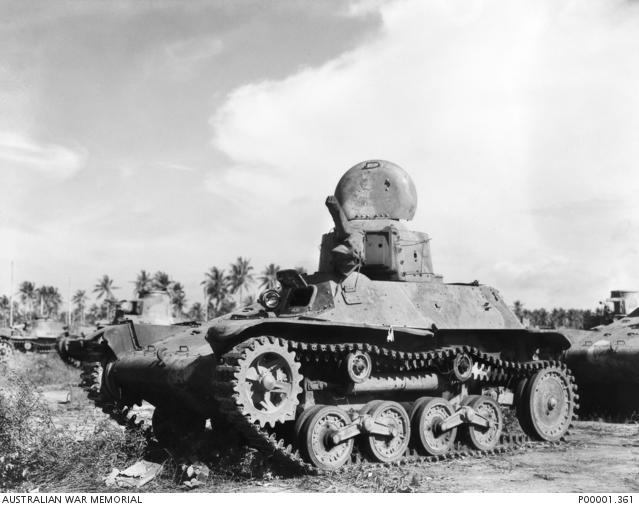 During first months of the war in the Pacific, their lightweight characteristics were taken full advantage of when crossing small bridges or using wooden ferries. Their small dimensions allowed them to closely follow the infantry on narrow roads and tracks. They soldiered in Malaya, taking part in the fall of Singapore. Many were shipped to the Philippines, rarely opposed to American armor. But, when it was the case the M3 light tanks proved deadly. Type 97 Te-Ke, the machine-gun version, unknown infantry unit, Burma, 1942. Due to the shortage of 37 mm (1.46 in) guns, many were delivered in this undergunned configuration. 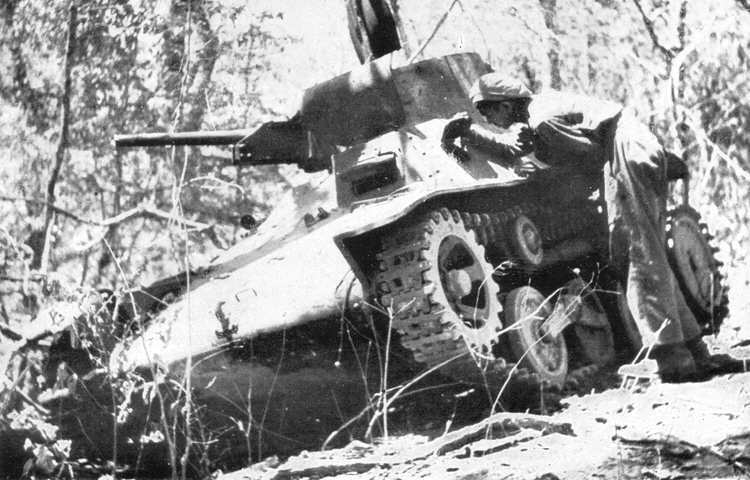 Type 97 Te-Ke gun version, Malaya, January 1942. This gun was also mounted on the Type 95 Ha-Go light tank. Thank you for your interest in the Type 97. Unfortunately, most of this information was simply cribbed from open sources. What is original is, sadly, wrong. The tankette could not have suffered “heavy casualties” during the fight with the Soviets in 1939, as there were only 4 vehicles deployed with 3rd Tank Regiment. The machine-gun version was not the result of “shortages” of the 37 mm gun, but stemmed from a requirement for both “male” and “female” versions. The machinegun was far more useful against hostile infantry than the cannon. The vehicle was instrumental in the seizure of Indonesia. It performed very well in Malaysia. It covered long road marches with excellent reliability in China. To be frank, these kind of smug summaries from armchair warriors annoy me. There are men fighting with real armored vehicles out here in Afghanistan (and previously in Iraq). Put away your toys …. Come fight alongside the big boys.